The wracknid family is a spider-like family in Hey! Pikmin. Much like Sheargrubs, this species has notable distinctions between the males and females. Main article: Shooting Spiner (Female). The Shooting Spiner (Female) is an enemy in Hey! Pikmin. These spider-like creatures hang from strings of web, lower down to Pikmin level, and stretch their arms out to stab Pikmin and kill them. Main article: Shooting Spiner (Male). The Shooting Spiner (Male) is an enemy in Hey! Pikmin. 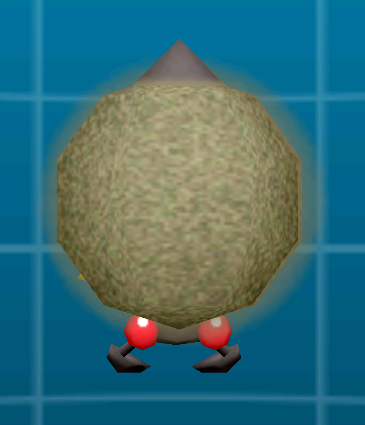 The males of this species are brown in color and attack by shooting poison clouds at Pikmin. The name "Wracknid" is an alteration of "arachnid". This page was last edited on March 6, 2019, at 12:43.